There are an array of benefits to having a conservatory. They are one of the wisest investment a homeowner can make. However, adding a conservatory to your home takes a lot of work, so it is natural if you are considering whether it is worth it or not. In this article, we discuss ‘Benefits of Conservatories’, as they are very useful in more ways than one. Believe it or not, conservatories add more value to your home. 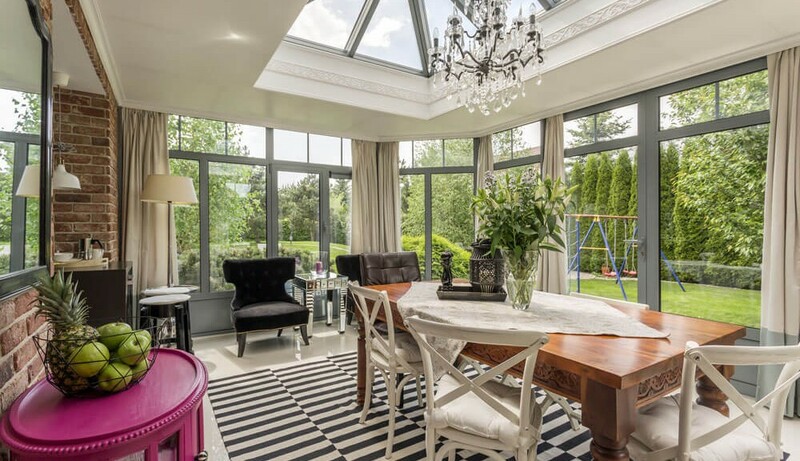 If you ever consider selling your home and it has a conservatory, don’t be surprised to find it is worth more than when you originally bought the home. Placing a conservatory in your home is a big project. However, the type of conservatory does affect the selling price, if it’s a small brick conservatory with no windows, no one will be impressed. Consider investing in a classic Victorian conservatory, with many companies in Milton Keynes offering this service or even a Combined conservatory could be placed. Another benefit of conservatories is that they come in a range of styles. Meaning you can have a lot of choices and there is a conservatory out there perfect for your home. Whether it’s a Georgian or a Tiled Roof Conservatory, each one can be catered to suit the aesthetics of your home in decoration and appearance. It’s a fact that conservatories add extra space to your home. However, they do more than that. They can allow you to extended your kitchen or even your sitting room to the conservatory area. Having too much space can never be a problem right? Conservatories bring in natural light; this can be good for moods and just keeping the conservatories warm. Keeping the heating bills low, as the glass regulates the heat in the room trapping it inside. The conservatory naturally extends toward your garden. During the winter or the unpredictable whether England tends to have, don’t fret as you can enjoy the view of your garden in the warmth of your conservatory. Whatever you use your conservatory for, you can still relish the benefits of natural light it brings and the view of your garden.